Jet Set Smart: AUSTRIA'S AMAZING DESSERTS! If you ever get the chance to jet set to Austria...be prepared for a major sugar rush! You cannot travel there and not treat yourself to some of their amazing desserts, including the World Famous Sacher Torte! 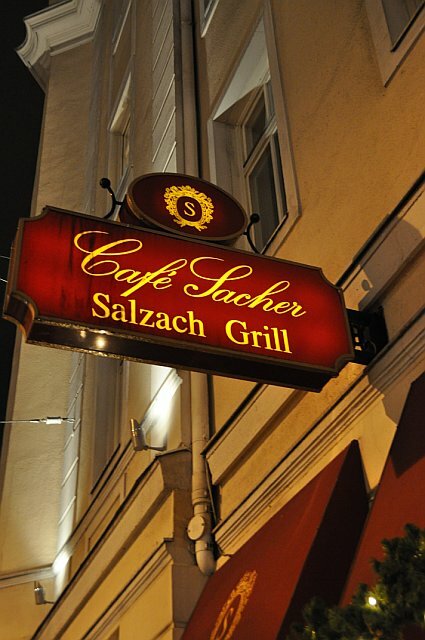 I was just watching Anthony Bourdain on "No Reservations" in Vienna, Austria, and on the show he went to the Sacher Hotel and had their famous chocolate cake. There is a Sacher Hotel in both Vienna and one in Salzburg. 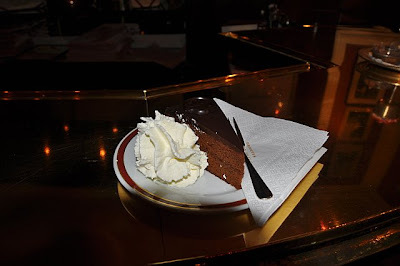 This past December, I went to the one in Salzburg and tried some of this cake, and like Tony says..."It is damn good!" Here it is...the original Sacher-Torte, which has been the most famous cake in the world for the last 175 years! It's a chocolate cake which is thinly coated (by hand) with apricot jam, and topped with chocolate icing. The cake comes with a side of unsweetened whipped cream. And when in Austria, you must wash it down with a "Wiener Melange" (coffee with milk)! It is heaven on earth...I promise! Before trying the torte- go ahead and order some traditional Hungarian goulash...just the way your grandma would make it! 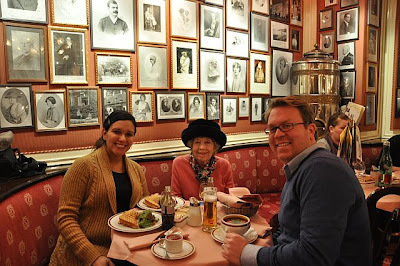 More on my trip to Munich, Germany and Salzburg, Austria to come!